The Bengaluru golfer, Aditi Ashok, who was tied eighth and looking good for a medal after round two, conceded a lot of ground in round three dropping as many as 23 places to be virtually out of medal contention going into the fourth and final round of 18 holes. 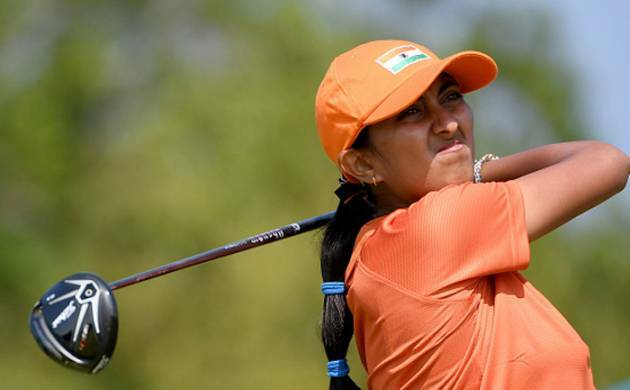 After two promising rounds, Indian teenage woman golfer Aditi Ashok performed poorly in the third and penultimate round by carding eight over 79 to lie tied 31st with a three-round aggregate of two-over 215 in the Rio Olympics here. The Bengaluru golfer, who was tied eighth and looking good for a medal after round two, conceded a lot of ground in round three dropping as many as 23 places to be virtually out of medal contention going into the fourth and final round of 18 holes. The 18-year-old had managed a three-under 68 to be tied eighth after 36 holes. In the third round yesterday, she played an ordinary back-nine where she was held back by five bogeys. Aditi got a bogey on the second hole before bouncing back with a birdie on the fifth. However, her inconsistency led to a bogey on the seventh hole as she completed the front-nine with a score of one-over 36. A similar script followed her in the back-nine, where she made three consecutive birdies before getting a couple of bogeys on the 18th to score 79. South Korea’s Park Inbee led the field with a cumulative score of 11 under 202. Tied second were Ko Lydia of New Zealand and Piller Gerina of USA with an aggregate of nine under 204. China’s Lin Xiyu and Lydia carded a hole-in-one on the par-three eighth hole.